How to Play MKV Files on Samsung Smart TV? Fix the issue of "DownloadHelper not working"
How to make WebM from YouTube? 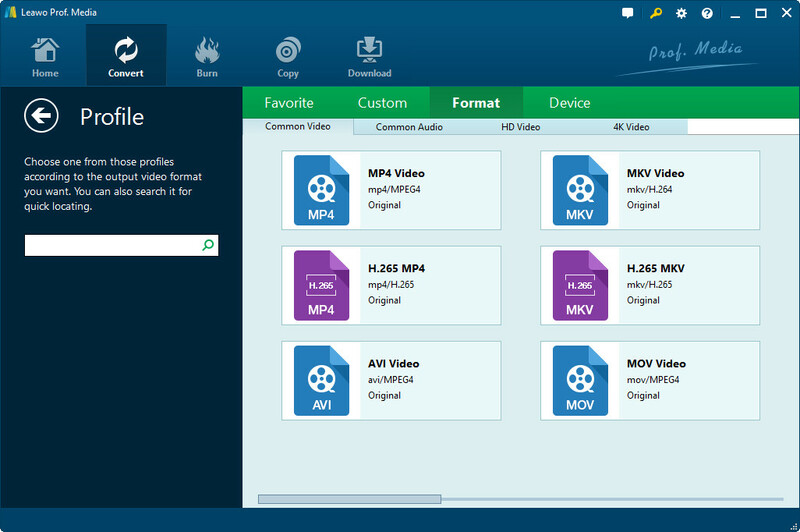 How to Convert AVCHD MTS/M2TS Video to iMovie on Mac for Importing to iMovie? How to Convert MP4 to Play on Apple TV? How to Convert YouTube to Apple TV Effectively? Nowadays, video sharing has become very commonplace in people’s social lives and every day you can see a lot of interesting videos being uploaded to YouTube by other people. Sometimes you might find a video you like and you want to download it to your iPhone so that you can watch it whenever you like, but everyone knows YouTube doesn’t support downloading videos directly from the website. But are there any applications that would allow us to download videos from YouTube to iPhone or convert YouTube to iPhone like a YouTube to iPhone Downloader or a YouTube to iPhone Converter app? The answer would be unraveled in this post. This post would present you the solutions as to how to download videos from YouTube to iPhone. YouTube is the world’s biggest video-sharing website. It’s headquartered in San Bruno, California, US. It was established by three former PayPal employees in February 2005. In November 2005, Google bought YouTube with 1.65 billion dollars and now it’s operating as one of Google’s subsidiaries. YouTube allows people to upload, view, rate, share, and comment on videos. Most of the content on YouTube has been uploaded and shared by individuals, but media corporations including CBS, the BBC, Vevo, Hulu, and other organizations offer some of their programs on YouTube, as partnering with YouTube. YouTube uses WebM, H.264/MPEG-4 AVC, and Adobe Flash Video technology to display a wide variety of user-generated and corporate media video. The videos we download from YouTube are usually in MP4, FLV and WebM formats. iPhone is a smartphone series designed and marketed by Apple and it runs Apple’s iOS mobile operating system. The first generation of iPhone was announced on June 29, 2007, by Steve Jobs, the former CEO of Apple. The latest iPhone model is iPhone SE which was released on March 21, 2016. The App Store on iOS offered more than one million applications by Apple and third party developers and is ranked as the world’s largest mobile software distribution network of its kind. And Apple’s CEO Tim Cook announced at the Apple Watch conference on March 9, 2015, that Apple had sold a total of 700 million iPhones to date. Video formats supported by iPhone are MP4，AVI，NAVI，DV-AVI，DIVX，MOV，ASF，WMV，RM，RMVB, etc. Now we know that both YouTube and iPhone are very popular throughout the world, and people might have questions like how to download YouTube to iPhone or how to download a video from YouTube to iPhone. It’s time to the dots for them by offering the solution as to how to download video from YouTube to iPhone. If you want to watch videos on YouTube with your iPhone, you can either download YouTube to iPhone through App Store and watch them online or download the video and then transfer it to your iPhone so that you can watch it offline. It’s easy to watch YouTube’s video online with Internet access, but to watch videos offline is a bit more complicated. To download video from YouTube to iPhone, the first thing you need to do is to download YouTube video to your computer. There is a lot of great software that can download videos from YouTube. 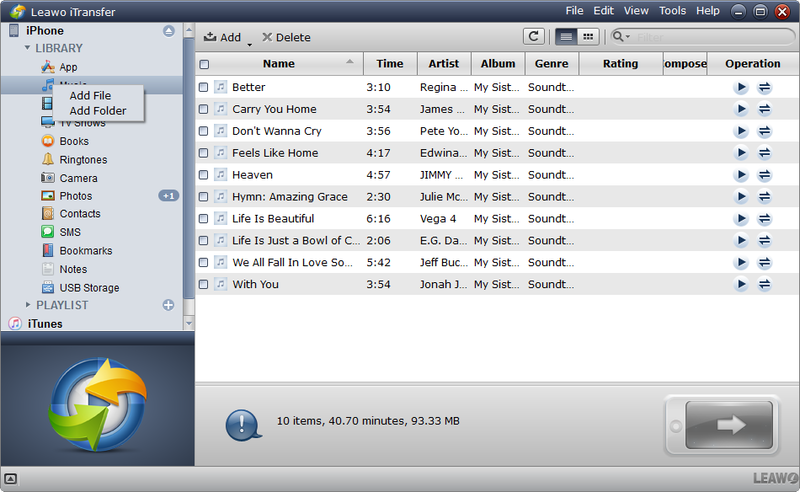 And I would highly recommend the Leawo YouTube Downloader. 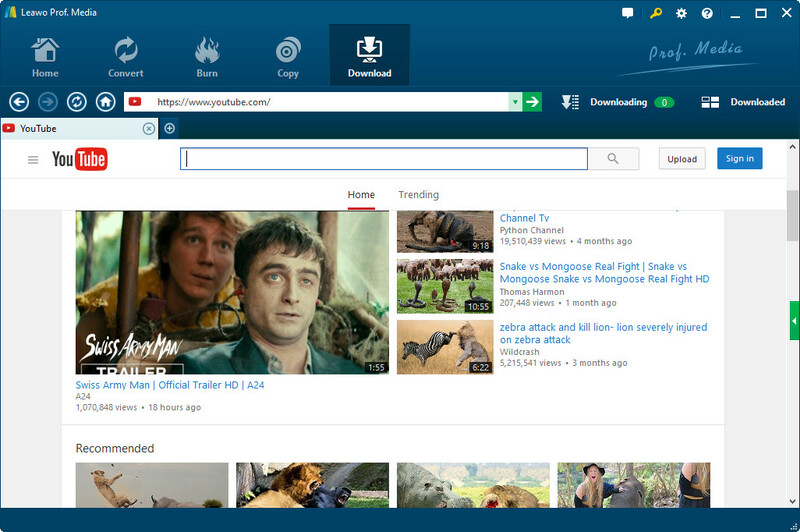 It’s a powerful YouTube Video Downloader with a lot of useful features like built-in browser and built-in player. Step 1: Launch the Leawo YouTube Downloader. Use the internal web browser to go to the target video website. Step 2: Open the video website and the Leawo YouTube Downloader will automatically detect the video sources that you can download. The video sources of different resolutions and different formats would be presented clearly on the download list for you to choose. Step 3: Click the download button to start downloading the video, you can choose to download multiple videos simultaneously, go to “downloading” section to check out the downloading videos. Step 4: After the video is fully downloaded, you can play it with the built-in video player. As mentioned in part 1, iPhone supports limited number of video formats. So in order to play the YouTube video on iPhone, we need to convert the video downloaded from YouTube to a format supported by iPhone. Actually you can see there are MP4 format videos available for download when you use Leawo YouTube Downloader to download video from YouTube, and iPhone supports playing MP4 format videos. But that doesn’t mean the video can be played by iPhone just because they share the same file extension “.mp4”. The fact is they might use different codecs which would lead to incompatibility between the two of them. So in order to be 100% sure that the video you download from YouTube can be played on iPhone, you need a YouTube to iPhone Converter to convert the video into a format that’s supported by iPhone. I would recommend the Leawo Video Converter, a powerful YouTube to iPhone video converter features a lot of useful functions for YouTube to iPhone video customization. 1. 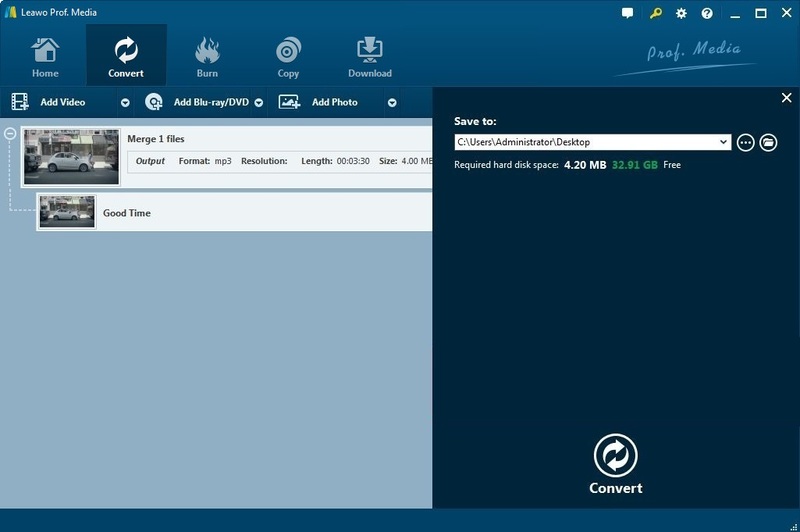 Launch the Leawo Video Converter, add the video file you downloaded from YouTube to the converter by dragging the file into the interface directly or clicking “Add Video” button to choose the video from computer. 2. Click the button on the left of “Convert” button and you’ll see a drop box, click “Change” on the drop box to enter the format choosing panel. There’s a specific section for Apple devices and there are customized profiles for every iPhone model. 3. If you want to further customize the profile you’ve chosen, you can click the “Edit” button on the drop box, go to the parameter setting panel and adjust the parameters like Audio Codec, Frame Rate，Bitrate, etc. 4. When you finish adjusting the parameters, click the green ”Convert” button, a side bar would come up on the right. Set the directory for the output file and then click the big “Convert” button to start the conversion. 5. After the videos are converted into the right format, you can now transfer the videos to iPhone. 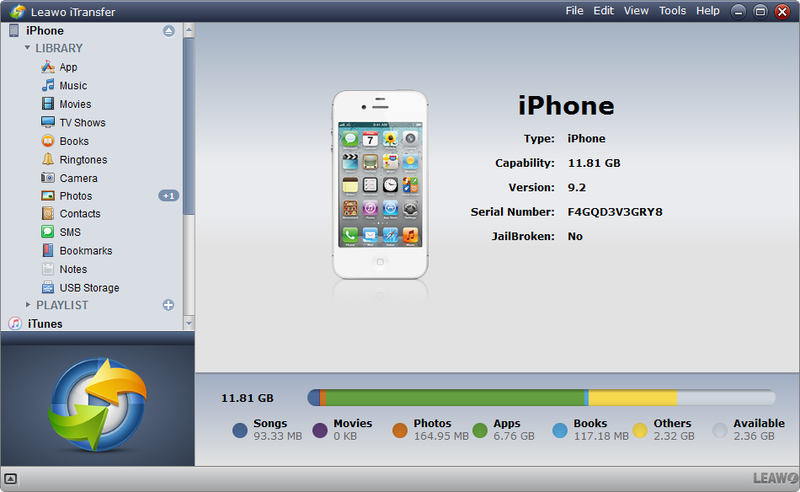 A lot of software applications support transferring data from PC to iPhone other than iTunes developed by Apple. And Leawo iTransfer is one of the best among those applications. 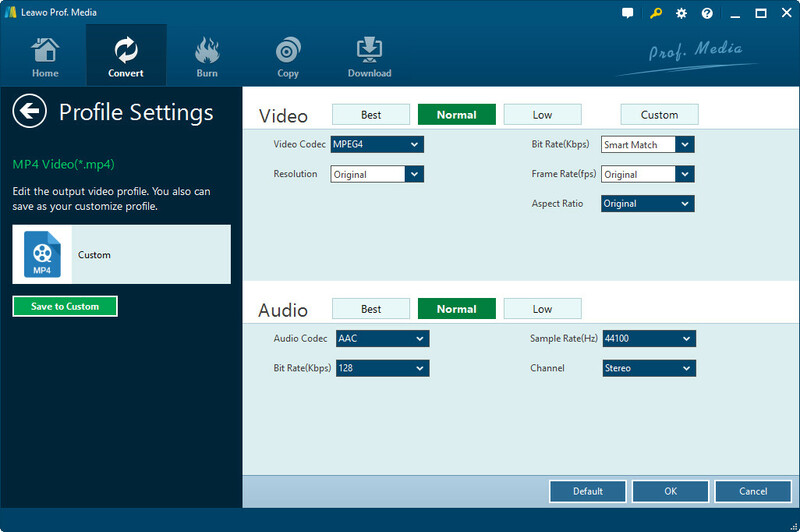 The Leawo iTransfer plays an important role in answering the question of how to download videos from YouTube to iPhone. With the Leawo iTransfer you can easily transfer videos downloaded from YouTube to iPhone. 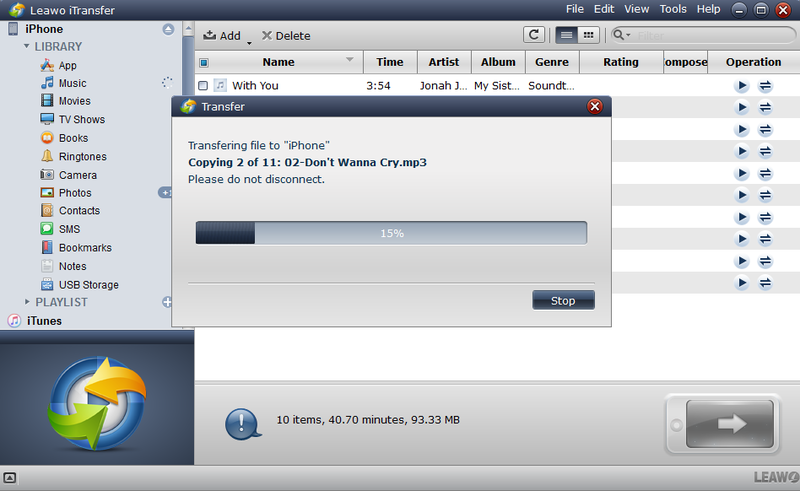 Below is the guidance for using iTransfer to transfer downloaded videos from YouTube to iPhone. 1. Open iTransfer and connect your iPhone to your PC, and then the detailed information of your iPhone would be shown on the interface. 3. Right click the video file, move your mouse to “Transfer to” on the right click menu, there should be the name of your iPhone on it, click it to transfer the video to your iPhone.